Arqiva has launched another hybrid internet channel on to the Freeview EPG, with the launch of specialist channel Showcase TV. Showcase - not to be confused with the similarly named BT channel - belongs to Information TV, which provides niche and specialist programme makers with airtime and enables broadcasters to launch so-called 'micro-channels', allowing them to test the market before launching a full time channel. 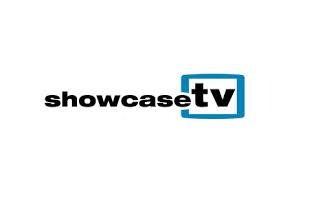 Viewers with compatible connected devices can access Showcase on Freeview channel 254. The channel already broadcasts on Sky 261 and Freesat 402. As with all such channels, an internet speed of at least 2.5 Mbps should be sufficient to stream the channel. Highlights on Showcase currently include late night relaxation courtesy of The Landscape Channel, Caribbean programming at the weekend from JAM TV, plus specialist programmes of interest to the Caravanning and motoring community courtesy of Caravan Finder TV, The Caravan Channel, Motorhome TV and PistonHeads. In mid-September, new arts and craft shopping channel The Craft Channel, broadcast from the former studio of price-drop TV, will launch a service on Showcase.